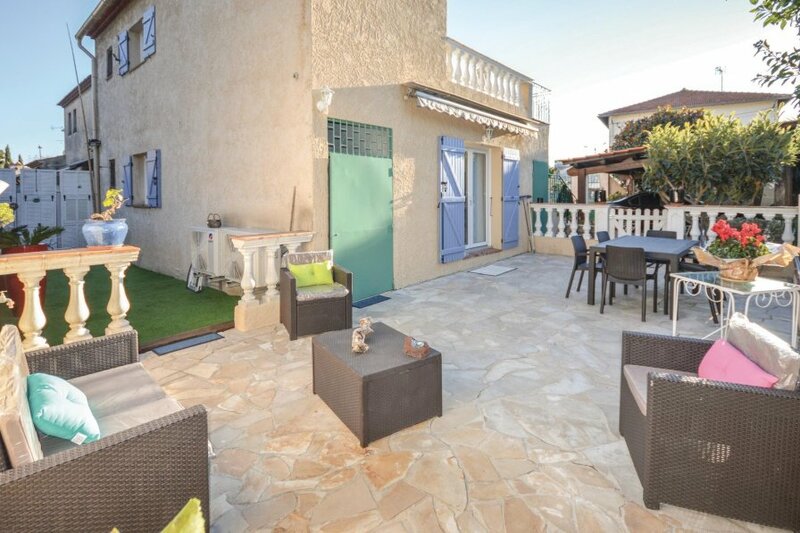 This beautiful holiday apartment in Antibes, 300m from the beaches, will delight a family. Located on the ground floor of the owner's villa. This beautiful holiday apartment in Antibes, 300m from the beaches, will delight a family. Located on the ground floor of the owner's villa, it offers a modern and well equipped interior with a nice decoration that invites to relaxation. One bedroom has its adjoining bathroom. You will love to rest on the beautiful terrace enjoying the calm. Beautiful days at the beach await you and you can practice water activities for the whole family: paddle, sailing, jet ski or diving, but also offshore cruise, golf and adventure park for the most daring. A beautiful walk awaits you on the Sentier du Littoral and you will stroll with happiness in the old town or on the ramparts where the unusual statue of the Nomade faces the sea. Visit the Museum of Archeology or the Picasso Museum but also the Chapelle de la Garoupe or Notre Dame de Bon Port. Port Vauban and Fort Carré are also worth a visit. Many surprises are still waiting for you so book quickly this beautiful vacation rental! This beautiful villa is made from brick or stone and was originally built in 1995 and refurbished in 2018. The agent has rated it as a four star property so it is a well-equipped villa with above average furnishings. It is also great value for money. The villaIt is located in Azurville-Val Claret, only 13km from Cannes. The nearest airport is only 14km away. It is set in a very convenient location, just 300 metres away from a stone and pebble beach and 2km from a sandy beach. There's also a restaurant only 60 metres away.